The New Alesis VI61 is a fully integrated keyboard/pad controller from Alesis aimed at musicians, producers and performers. The VI61 features 61 full-sized, semi-weighted keys with aftertouch, 16 multi-colour backlit pads and 48 assignable buttons. 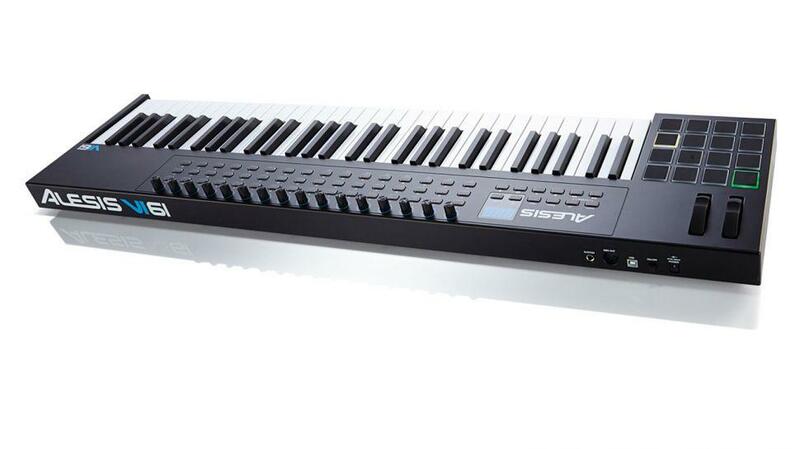 The Alesis VI61 keyboard is powered by USB and also sends MIDI data through the same USB cable. 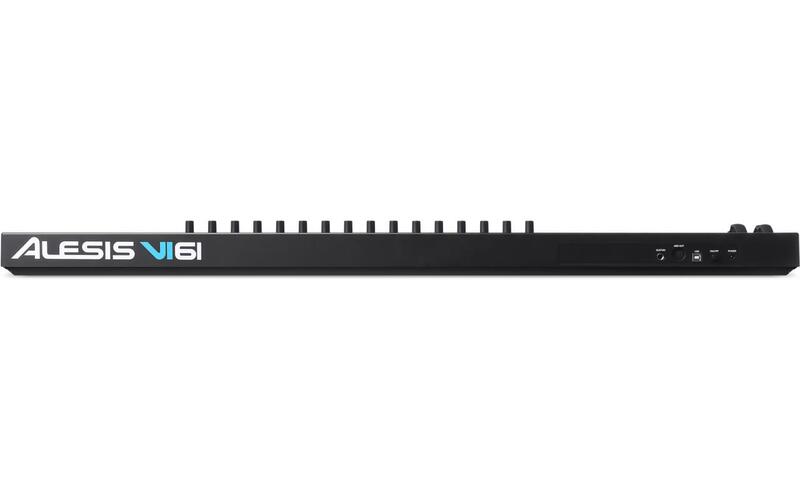 This MIDI Keyboard comes with Ableton Live Lite (Alesis edition) and MIDI editor software.